After graduating a few months ago, I returned home to my friends, family and seasonal job. All three things are reliable staples of my hometown, and have become new routes that lead back to my experience at William & Mary. There is a fountainhead of W&M alumni that have migrated to DC from Williamsburg, and many of them eclipsed my time at the College. My first weekends back in town were spent reliving the glory days with friends from high school and fellow W&M grads. We shared stories about campus experiences, and the challenges and rewards that awaited me as a new graduate. The transition back home felt a little odd, after being away at school. This summer many of my friends had left their hometowns, starting new careers or traveling abroad. On the other hand, I returned back to my parent’s house to bide my time until starting grad school. I went on several interviews looking for something within my field of art education with limited success. My achievements were coming at slower pace than my time as an undergrad, and I admit that I was frustrated as well as a little confused. However, I settled back into my routine of working at my seasonal job at a local rock climbing gym, and my summer regained its initial momentum. 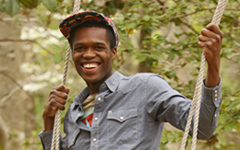 I first became involved in outdoor recreation as a freshman at W&M by taking a class called Adventure Games. I recommend it to any prospective or current student as a fun class to spice up a schedule filled with classrooms or labs. The majority of the class is taught on W&M’s ropes course, which is an outdoor obstacle course with various activities and elements. My professor was upbeat and hilarious, and each class felt like a day at a playground for college students. Some days the class played games of Cyclops-tag, rappelled down the campus police station, or traversed the zip-line across Lake Matoaka. My time as both a student and later as an employee on the ropes course prompted me to work at the climbing gym in my hometown. As a climbing instructor I encounter climbers of all levels, and the experience that I’ve gained in working an unconventional job has prepared me for my work in graduate school. In my classes I teach students the fundamentals of rock climbing, such as: how to use equipment and gear, knot tying and belaying. It’s been incredible taking a hobby that began in a random class at W&M into a fun job. However, the most rewarding part of my time at the gym has been my encounters with W&M alumni who are also fellow climbers. The joy of meeting someone who is also a member of the Tribe is like meeting a new member of your family. My W&M community has continued to grow even though I have left the campus behind. A summer of rediscovering familiar routes and reaching new heights has bridged my transition between Williamsburg and Manhattan. I leave for NYC in just a week, and I’m excited to start grad school. 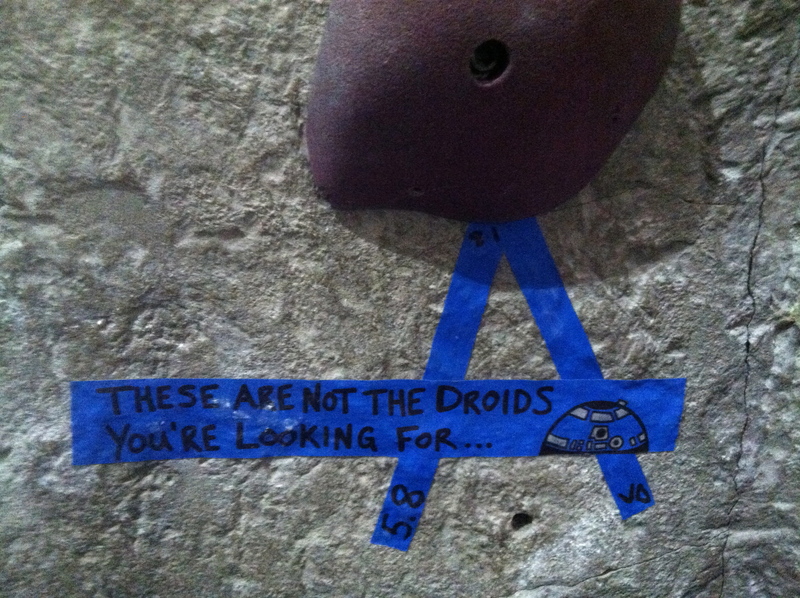 Likewise, I’m really excited to see if they have a climbing gym on campus! 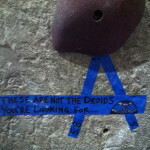 Rock climbers love Star Wars. Rock climbers love the Smiths! 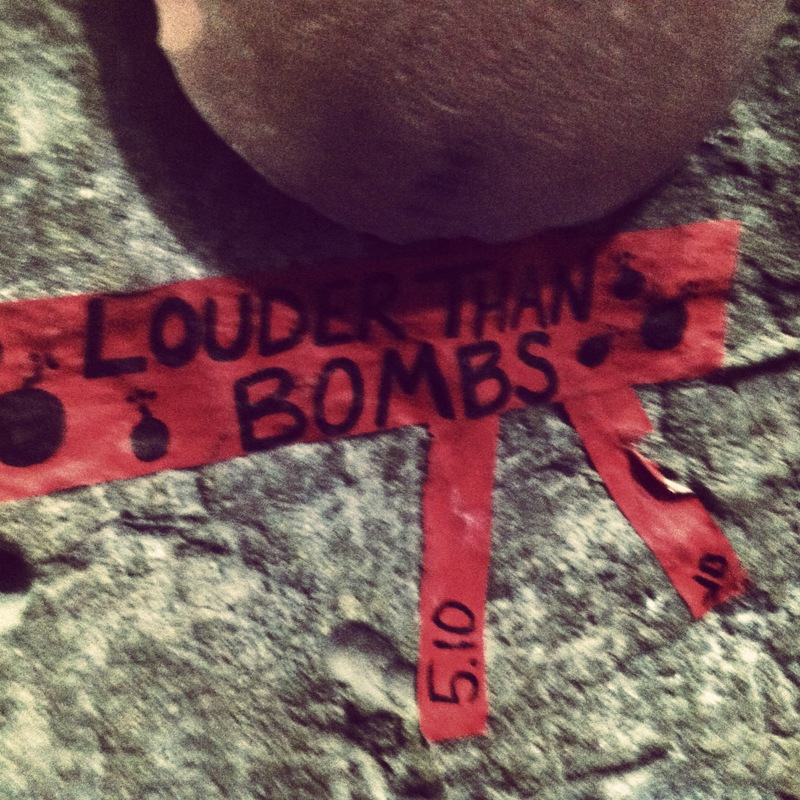 Climbing is such an amazing sport, loved your article. Good luck in your studies! Lovely article fellow, hope all is well at school!